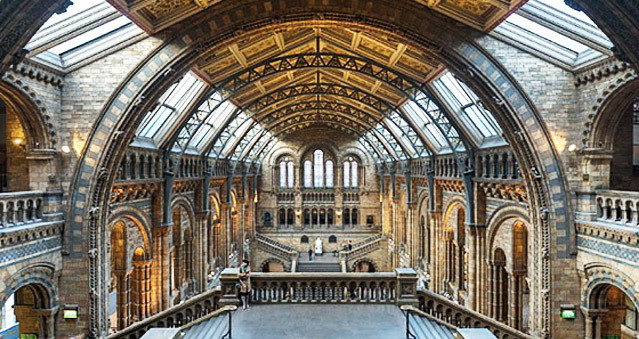 Find answers to your big nature questions at the Natural History Museum. Delve into stories about the Museum’s collections, research and scientists. Uncover the history of life on Earth, from the smallest insects to the largest mammals. The Natural History Museum is a natural history museum in London that exhibits a vast range of specimens from various segments of natural history. This establishment is one of three major museums on Exhibition Road in South Kensington, the others being the Science Museum and the Victoria and Albert Museum. Plan the perfect team building day out. Get up-close with nature and enjoy fun, family-friendly activities for curious kids and inquisitive parents. Make sure you keep an eye out for the fuzzy little lawnmowers (sheep!) in the Wildlife Garden from 12 September until the end of October. Ideal for: The Killing, Around the World, Stocks in the City, Mixology, The Ultimate Team Build, Real Life Clu’Doo, Escape the Box,The Haka Experience, Murder Mysteries and much more!